The 2018 Indonesian Economic Forum held on 21 Nov at the Shangri-La Hotel had an interesting theme: “Connection Indonesia; A New Five Year Agenda.” Prolific speakers included Presidential Candidate Prabowo Subianto, Vice-Presidential Candidate Sandiaga Uno, ex-Trade Minister Gita Wirajawan and Bapak Luhut Pandjaitan (Coordinating Minister of Maritime Affairs). I had the privilege to be on the panel that looked at STEM Education and its relevance to Indonesia’s youth with the Dr. Ilham Habibie (Founder of Berkarya) and Bapak Ananto Seta (Senior Advisor to the Minister of Education). The panel debate was timely amidst reports that Indonesia was facing a shortage of engineers in the middle of President Jokowi’s big infrastructure push. According to the Chairman of PII (Persatuan Insinur Indonesia) Hermanto Dardak, as reported in Tempo in 2015 and also in an article by Joe Cochrane in the New York Times in 2016, the country badly needs 30,000 engineers. This indeed looks like a big challenge to for Indonesia’s infrastructure programme. Hence why there is a push in STEM (Science, Technology. Engineering and Math) education in schools here. Why the shortage of engineers? Well, one theory is, there may be an actual disinterest in STEM (Science, Technology. Engineering and Math) education among students here. If that is true, as an active participant in the education sector here, I sense a large part of the disinterest comes from the way STEM is taught in many schools in Indonesia. Often, we see these subjects taught separately, in an uninteresting way, as stand-alone units. To make matters worse, end of year examinations look at testing content instead of its application to real life situations. STEM is nothing more than an acronym around a curricula that combines the teaching of Science, Technology, Engineering and Math instead of teaching these subjects separately. Elements of these subjects are then put to use in course assignments like bridge building, renewable energy projects and even city or town design. STEM promotes creative thinking, collaboration and problem-solving techniques, all important skills needed for an unpredictable world. But STEM has its critics. Enter the liberal art advocates. They say that STEM alone will not be enough for the challenges of the 21 st century. Interesting data points to one-third of Fortune 500 CEOs in the US having liberal arts degrees and no STEM background. Jack Ma, the Founder of Alibaba has a Degree in English. Cary Fiorina, Former CEO of Hewlett Packard has a Bachelor in Medieval History and Andrea Jung, Former Avon CEO graduated with a degree in literature. Liberal art promoters say STEAM is more important than STEM, with the ‘A’ in there advocating the ‘Arts’. But STEAM has its own critics. Enter another group who argue the importance of Reading and Writing in a world where the young are reading less and are struggling to write concisely. They argue precise writing reflects precise thinking, and this skill with the ability to do research will play a big role in the future. We may soon see a group coming to say we need people who can Collaborate and Communicate more than those who understand Technology. And they may push for a C more than the T. Now it becomes SCREAM! “Integrated Learning” – that’s all this is. I argued in the panel at the Indonesian Economic Forum that we should avoid labelling curricula. STEM, STEAM and STREAM is nothing more than Integrated Learning. And let’s not make this a difficult process in a country like Indonesia where resources are limited. Make a fuss about STEM, STEAM or STREAM, and we will quickly see committees formed with fancy sounding acronyms like CREAM (Committee for the Study of STEM, STEAM and STREAM) that will well into long meetings, tiring debates, meaningless theories with very little execution on the ground. Let’s look at Indonesia’s neighbor. The Organization of Economic Co-operation and Development (OECD)’s Programme for International Student Assessment (PISA) ranked Singapore as the number one education system in the world. PISA looked at testing randomly selected 15-year-olds on Mathematics, Science, and Reading &amp; Collaborative Problem Solving. Singapore was number one. Indonesia is stuck at the bottom 1/5 th in the rankings. Singapore schools have long been focused on STEM, STEAM and STREAM. But they do it under their “Inter-Disciplinary Project” programme, and this is done as early as Primary school. Yes, there are specific periods in Singapore schools for Math, Science, Technology and the Arts. Yes, Reading and writing is encouraged, just like in Indonesian schools. But where things start to differ is in the application and assessment of knowledge acquired in the classroom. Assessments must not just test content. They must test the application of content. Students must know what ‘Pollination’ means in Science. But they must also understand why bee population effects the bird population. Why? Answer: Bees play a role in pollination. No bees means no pollination. And no pollination means no seeds. No seeds, well…. that means no food for birds. And so the species of birds in question may dwindle. It is the application of content that needs to be sorted out in Indonesian schools. I argued in the Forum at Shangri-La that teachers are experts in teaching to what is going to be tested. If we change the way students are tested or assessed, teachers will adapt. That is a good, quick starting point for Indonesia. Indeed, in an unpredictable world where we will see less jobs out there for our children in the face of technological advances. 21 st century skills like collaboration, entrepreneurism and analytical thinking are important. But do not leave out Perseverance as today’s children give up easily. 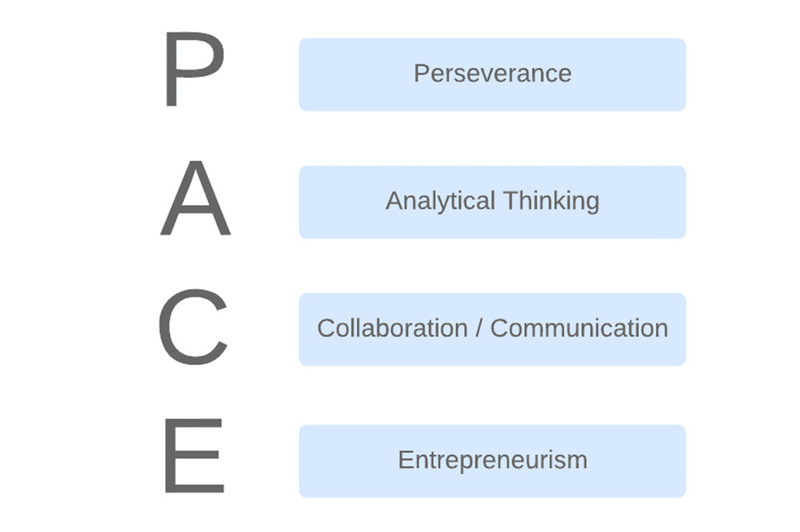 I call it PACE (Perseverance, Analytical Thinking, Collaboration/Communication and Entrepreneurism). How do we encourage STEM/STEAM/STREAM in Indonesia? 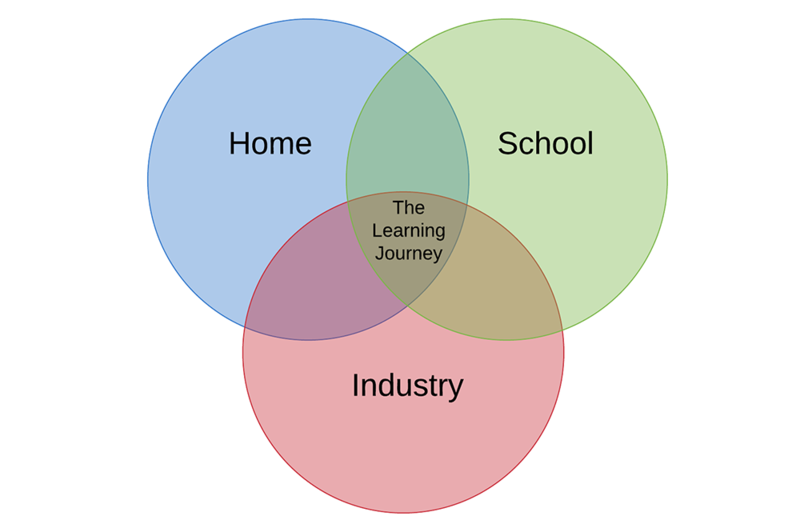 I stressed to the panel that we need to look at all 3 components that play a role in our child’s learning journey; The Home, The School and the Industry. According to data from the World Bank, 40% of Indonesian parents have met their teachers maybe once or even never. 55% may have attended school-wide meetings only once. Clearly Indonesian parents are disconnected from the learning journey of their children. There needs to be a paradigm change here. Though it may sound drastic, I would really like to see end-of-year reports on children to include a brief insight into how many times their parents have come to school, met their teachers or even volunteered in classroom activities. If we all agree parents play a big role in their children’s education, then Schools should let Indonesian parents know where they are failing their own children. Teachers here need to do less administrative work and focus more time on direct, meaningful work on the education of the students. This can include forming teams that look at new ways to gauge students’ understanding of what is being taught in class. Teachers need more time for creative projects and forming assessments based on process than facts. Professional development needs to encourage teachers to talk less and instead create an environment where students drive interaction and discovery. Teachers should give projects that involve parents. This can include say making a video of the community where they stay and the issues they face there. The point is to off-load teachers with marketing, administrative and other work that takes time away from direct educational intervention. I echoed my sentiments in the Forum in this area rather robustly. Industries are the recipients of students out from schools and higher educational institutions. Yet School Boards are filled only with investors, academics, school-owners, and parents. Industry players are missing when in fact they know exactly what is needed out there. After all we often hear CEOs complain that universities and schools are not producing the right kind of individuals they need in their companies. How many times have we heard them saying, “The young today cannot collaborate or are not showing skills like creativity and analytical thinking.” Schools must try to get a pulse of the industries and the best way is to get them onto the School Boards and give them a say into curricula being propagated at classroom level. Ultimately, we all need to work together to get Indonesia moving up the PISA rankings through more emphasis on Integrated Learning, be it STEM, STEAM or STREAM. 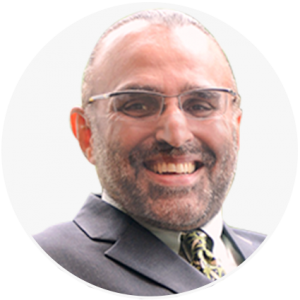 We need to move beyond a singular focus on content and look to include application of the content in the real world – both through curricula and assessment. We need to include the parents, actively, in the process and we need to involve industry leaders in helping steer the ship. Indonesia is full of talent. As educators it is our responsibility to ensure that talent is liberated, not contrained, through the educational process.